← How to print Word to bmp? It is pretty convenient to edit even number page together, which greatly saves you precious time. 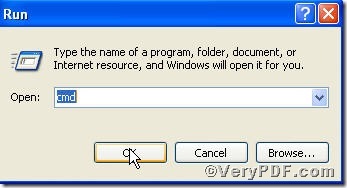 For instance, if you want to edit pdf content of even number page quickly to save time using Advanced PDF Tools Command Line, the short-cut is add –u “even” to the command line to edit pdf content. 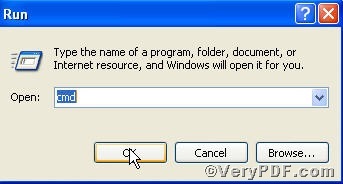 And finally, you press “enter” key, the task will be completed. 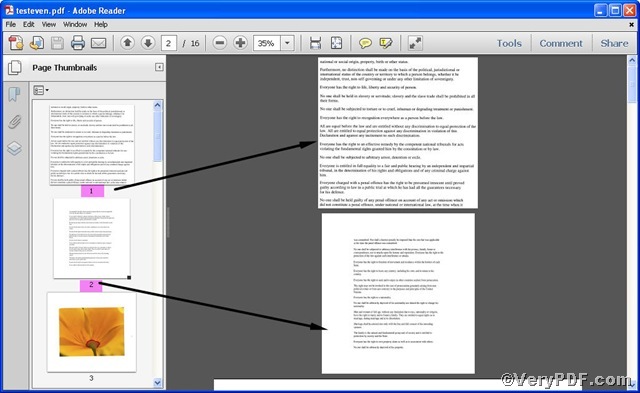 The VeryPDF.com uses an example-edit pdf content of even number page to 60% of the page width and 70% of the page height and ists the command line and detailed operations below in an effort to help you understand. -i is to specify a PDF filename or a directory for input. -o is to specify the PDF filename for output. -j is to specify set page content, “60% 70% ” the first parameter means to set page content to 60% of the page width and the second parameter to 70% of the page height and true the third parameter is a Boolean type value to set whether to center on page. -u “even” refers to the edit goes to the even number page. From the picture you are allowed to see the pdf content of page2 became 60% of the page width and 70% of the page height and content centered while the page 1 did not. So, you can check the rest even number page whose page content is different from that of odd number page. If you have any further questions, please feel free to leave your comments below. How to use PDF Repair to Fix Corrupt PDF Documents? This entry was posted in Advanced PDF Tools and tagged Advanced PDF Tools Command Line, command line, edit pdf content, pdf files. Bookmark the permalink.